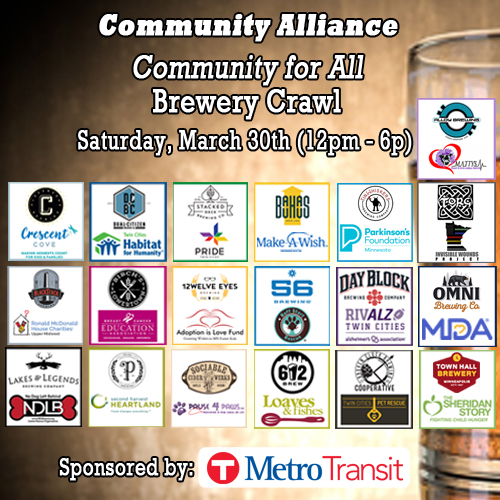 Join us for the Community for All Brewery Crawl! Raise money for local nonprofits, while enjoying great beer! The self-guided crawl will be a day of fun at over 15 of the best craft breweries in Minneapolis, St. Paul and beyond. Hop on our FREE shuttle bus to travel between NE Mpls breweries or north metro breweries and use your complimentary Metro Transit Pass. Your crawl will begin at the brewery/nonprofit you choose during checkout. $15 of your ticket is donated to the nonprofit you select (tickets are limited at each brewery - purchase early to confirm your space). Check-in with your nonprofit to receive your "Crawl Pack" - then hop between breweries drinking great beer and supporting local nonprofits! We will have a bus continuously circling our North Minneapolis Breweries or you can use your FREE Metro Transit Pass included with your ticket. 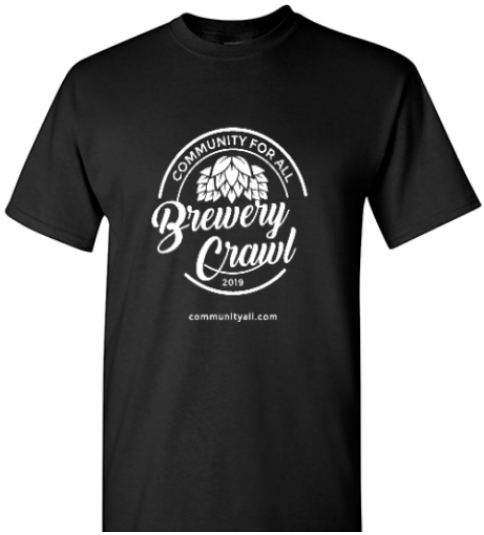 Want to maximize your crawl and 2019 brewery experience? Purchase a Team Brew Card from any nonprofit during the crawl. They receive $15 and you receive a BOGO pint at over 50 breweries, including 12 of the breweries participating in the crawl! Make new friends, raise money for charity, and drink exceptional beer. Join the Community for All Brewery Crawl today! © 2019 City Pages Tix. All rights reserved. Get the POWER of CityPages behind your event and organization! Partner with CityPages to get access to the only ticketing platform that has an audience of over 3.5 Million in the greater Minneapolis/St. Paul area! LEARN MORE about our LIMITED TIME LAUNCH PACKAGE and the exposure we bring at NO COST TO YOU!